Vice President Young called the May 22, 2017 Regular Meeting of the Board of Commissioners to order at 7:00 pm. He followed with a prayer and the Pledge of Allegiance. He announced that Proof of Publication was available for review. President Black and Commissioner Holtzman were absent with excuse. Commissioner SCHIN made a motion to approve the minutes from the May 8, 2017 meeting of the Board of Commissioners. Commissioner SIMPSON seconded the motion. Motion carried 2-0-1. Vice President Young abstained, as he was absent from the May 8th meeting. Mr. Terry Kyzer spoke about the property behind his. He spoke about the overgrown grass and logs. He asked if it could be cleaned up. He spoke about the appliances sitting out and the condition of the property. He spoke to someone at the Township on April 28th and hasn’t heard anything back. Vice President Young stated that they would have someone consider this issue. Commissioner SCHIN made a motion to approve the Check Register of May 12, 2017 in the amount of $356,331.08. Commissioner SIMPSON seconded the motion. Motion carried 3-0. 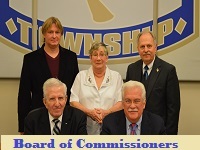 Commissioner SCHIN made a motion to approve the Department Reports for the month of April for Community Development, Township Engineer, Public Works, Fleet Maintenance, Economic Development and Public Safety. Commissioner SIMPSON seconded the motion. Motion carried 3-0. Commissioner SIMPSON made a motion to approve Resolution 2017-R-15, a resolution of the Board of Commissioners of Lower Allen Township, Cumberland County, Pennsylvania, commending and honoring John Stanley Smith for the attainment of the rank of Eagle Scout. Commissioner SCHIN seconded the motion. Motion carried 3-0. Mr. Flint discussed the renewal of Improvement Security for SLD Docket No. 2013-06, Preliminary/ Final Land Development Plan for Hollinger Office Building, 4600 Lena Drive. He stated that it should be ready for action at the next meeting. Mr. Flint discussed the renewal of Improvement Security for SLD Docket No. 2014-01, Final Subdivision and Land Development Plan for Highpoint, Phases 1.1, 1.2 and 1.4. He stated that it should be ready for action at the next meeting. Mr. Flint discussed the release of Improvement Security for SLD Docket No. 2016-01, Weis Market Gas and Go. He stated that it should be ready for action at the next meeting. Mr. Eby discussed the request for the Sewer Authority to extend sewer service into the original Fair Oaks development. He showed the Board the location of the development on the map. He spoke about the history of the development. He stated that some of the on-lot sewer systems are over 50 years old. He spoke about the age of the systems, the questionable soil, tree removal issues, and repaving of their streets in 2020. He spoke about a repair on a small lot last year. Mr. Rob Rumbaugh, 5028 Woodbox Lane, stated that he is in favor of the public sewer system going into the development. He spoke about concerns with the roads. He asked if they were considering putting in public sewer if they would consider having natural gas brought into the development before paving. Mr. Nate Vail, Woodbox Lane, stated that he is highly in favor of bringing in public sewer to the development. He asked about bringing gas also. Discussion ensued. Mr. Vernau stated that he would contact the gas company. Mrs. Mary Rumbaugh, 5028 Woodbox Lane, asked if everyone would be required to connect to the public sewer system. Solicitor Miner stated that everyone connecting would be a requirement and an ordinance would be necessary. Commissioner SCHIN made a motion to direct the manager to send a letter formally requesting the Sewer Authority to extend sewer service into the original Fair Oaks Development. Commissioner SIMPSON seconded the motion. Motion carried 3-0. Mr. Flint spoke about SLD Docket No. 2017-02. It is a revised Subdivision and Land Development Plan for Arcona Phases 2.1 and 2.2; and Highpoint Phases 1.1 and 1.5. The proposed construction of 282 apartment units in Arcona, Phase 2; previously approved as 11 buildings, is now proposed to be constructed with 13 buildings. Highpoint, Phase 1.5 will have modifications to the proposed modification to trail network. He stated that the parking lot has changed and showed the Board the location and design of the revised plan. He stated that the Planning Commission approved the plan subject to their comments. He spoke about the trail moving to the east side of the street. Public Safety will review the plan for the emergency vehicles access. He stated that the plan is not ready for action tonight. Commissioner Simpson asked why they changed the plan. Mr. Anthony Faranda-Diedrich, Charter Homes, stated that the changes were for design reasons which including moving the pool and clubhouse. He stated that they believe this is a better building design. Commissioner Schin asked about occupancy and the school district communication. 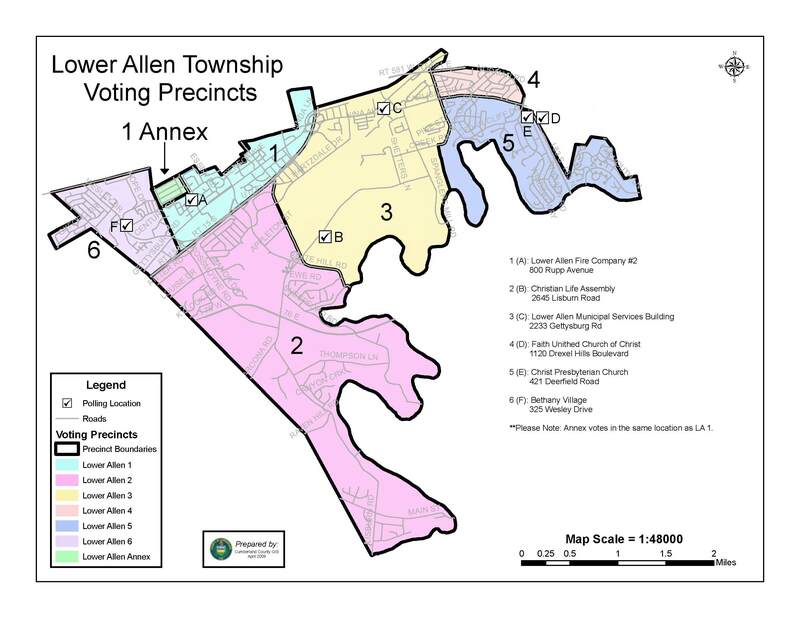 Mr. Faranda-Diedrich stated that things are going well and stated that a lot of the resident are from Lower Allen and wanted to stay in the school district. He stated that they meet with the School District twice a year and provide updates and forecasting. Commissioner Simpson asked about the administrative work and fees for the revised plan. Mr. Flint stated that Charter was charged fees but we don’t keep track of our time by plans. Mr. Vernau spoke about the public meeting with The Heights of Beacon Hills residents on June 8th from 6:00-8:00 pm at Christ Community Church. He stated that the meeting would include discussions about the homeowner’s association. He stated that Staff and the Solicitor are going to speak to the residents and the Board is welcome to attend. Director Holl thanked Commissioners Young and Black for being at the Citizens Public Safety Academy graduation tonight. He stated that four residents graduated. He stated that May 21-27th is EMS week. Commissioner Schin spoke about buses and trucks being parked in the former Stevenson’s parking lot. Commissioner Simpson attended the Eagle Scout ceremony. He attended the Capital COG meeting. He spoke about a concern with sidewalks being marked before the residents receive the letter that their sidewalks need replacing. Mr. Flint stated that while they are inspecting them, they mark it and then send the letter. Mr. Vernau spoke about an Eagle Scout project for the Cedar Run Park. He spoke about the Mariner East construction around Arcona Road. Mr. Eby spoke about Ordinance 2017-03 involving indoor agriculture. He is hoping to set a public hearing at the next meeting. Mr. Flint stated that the Gettysburg Rd. sidewalk is nearing completion and the Beacon Hill trail has been started. Vice President Young spoke about the Municipal Advisory meeting he attended about the police radios. He spoke about a complaint about the 18th street railroad crossing. Mr. Vernau spoke to Norfolk Southern about the crossing and said they are studying the crossing for repairs. a. Purchase of right-of-way for the Gettysburg Relocation Project.